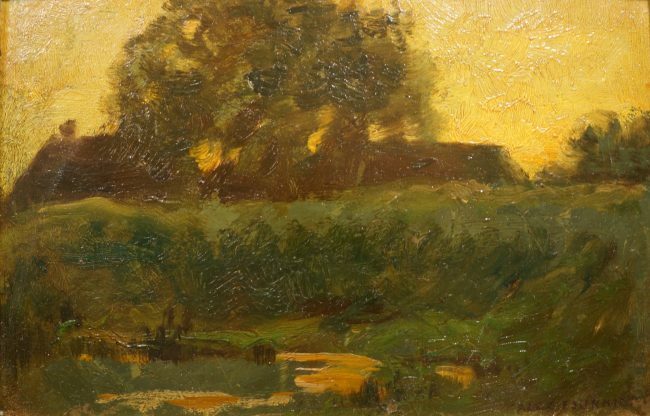 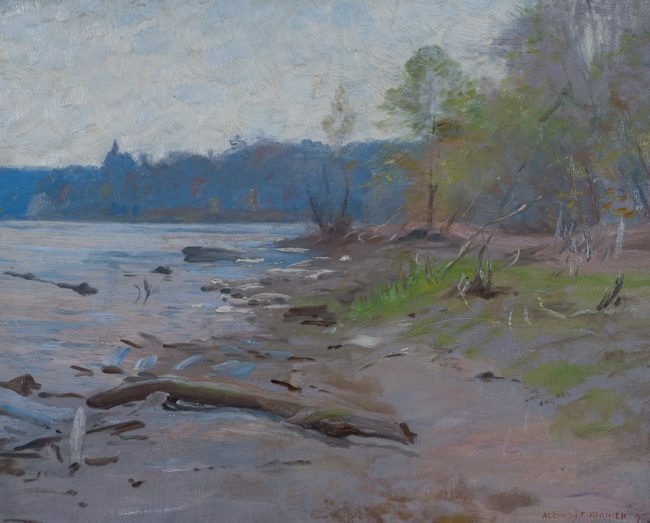 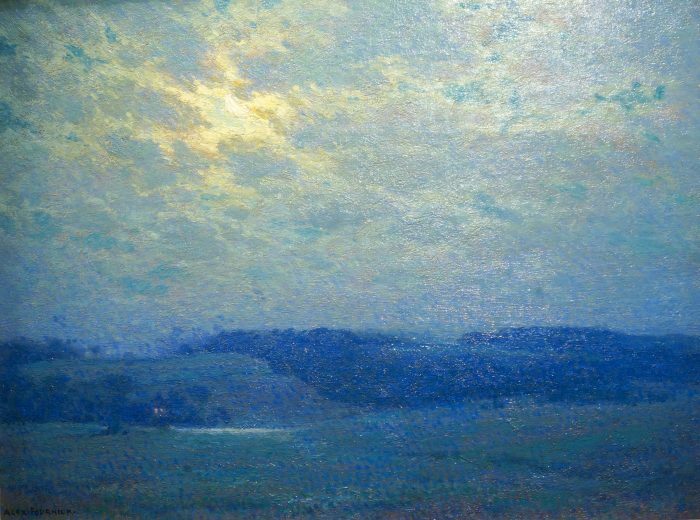 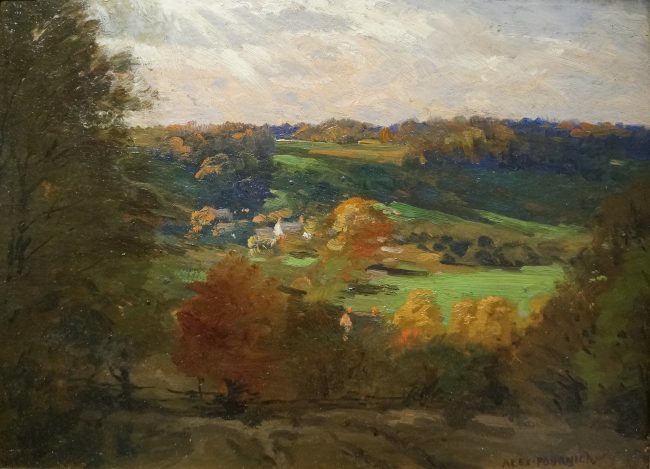 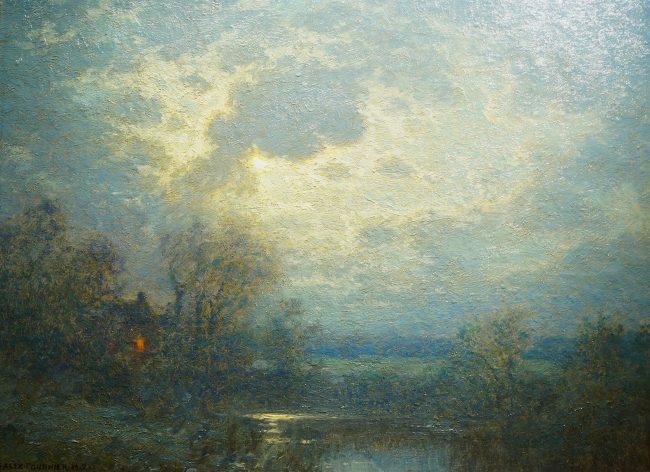 Alexis Jean Fournier (1865-1948) Misty Morning After Rain 1914 Oil on board 10 inches x 13 1/4 inches Signature and date lower left Alexis Jean Fournier travelled to France seven times, the last time in 1913, before returning to the United States. 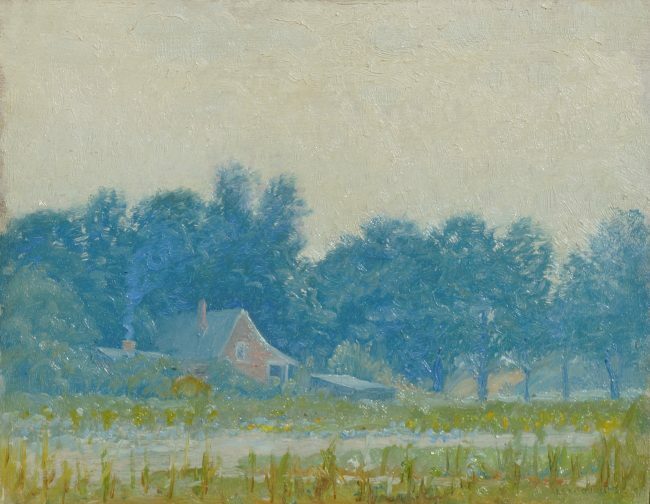 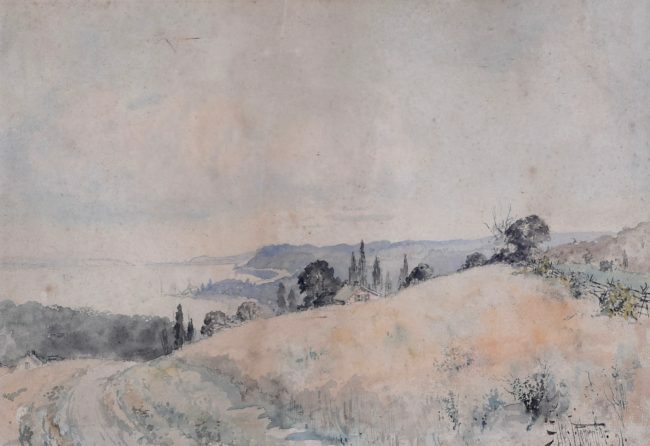 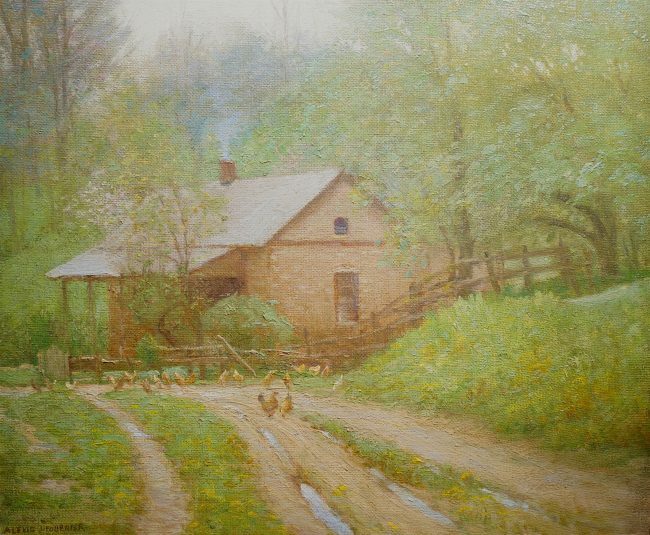 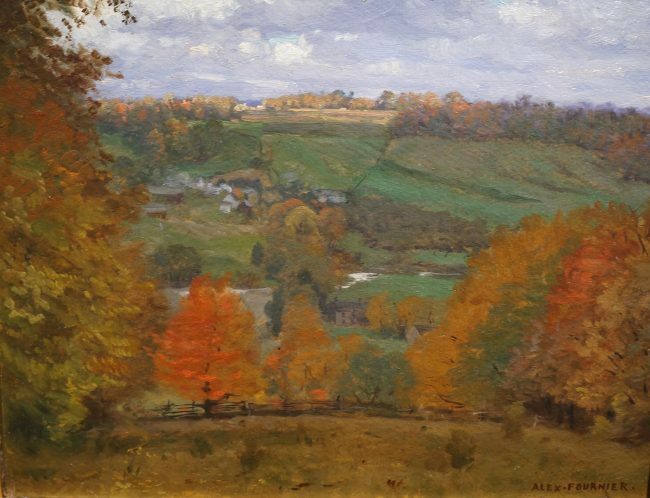 The following year, 1914, marks the creation of "Misty Morning After Rain." 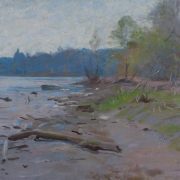 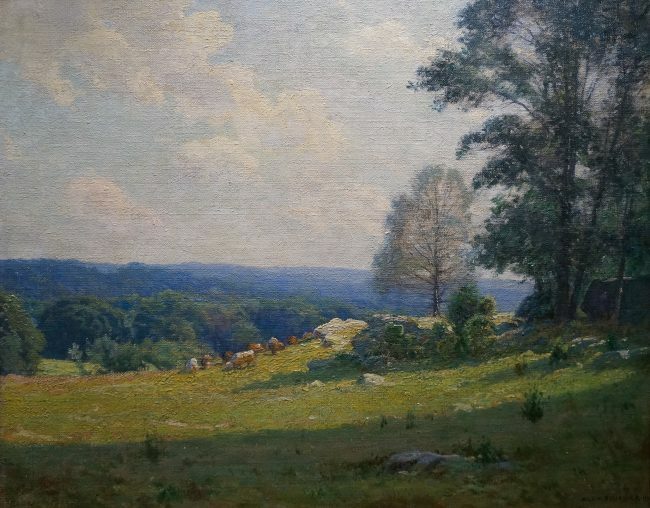 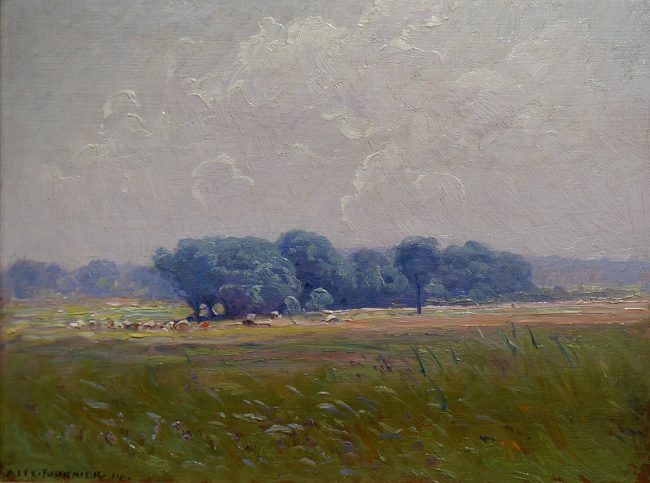 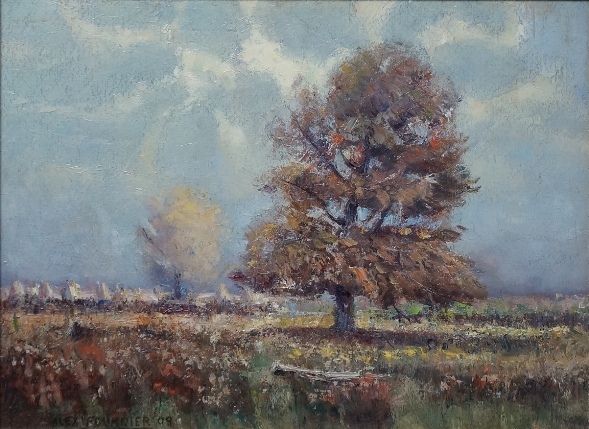 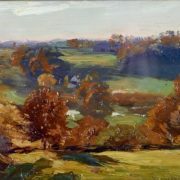 The painting offers an atmospheric countryside view with a gentle breeze running across the grasses in the foreground, capturing the moments just after rainfall. 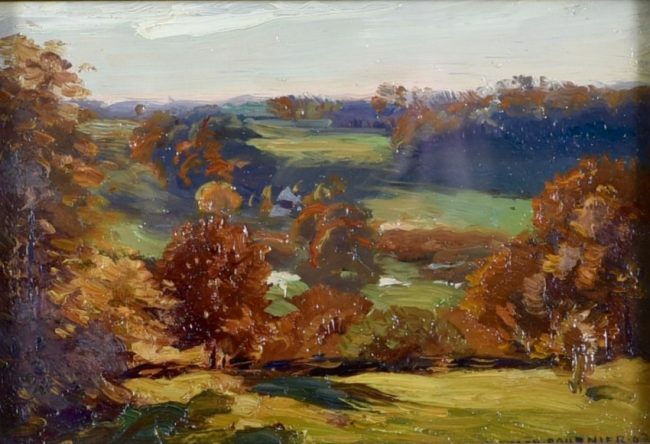 The work is a lovely example of the artist's oeuvre, utilizing brilliant colors with elevated paint on the surface and traces of remaining strokes by the artist's brush.